INDIANAPOLIS – Firestone Indy Lights announced today that the introduction of its next-generation car will be delayed until after the 2014 season. “While we have generated quite a bit of interest from a variety of manufacturers, we feel it’s best to delay the introduction of the next-generation chassis and engine,” said Tony George Jr., director, Firestone Indy Lights. Series officials, citing the desired attributes of a contemporary chassis with enhanced aerodynamics and technology, announced last May that a request for proposal had been distributed to potential manufacturers and development firms for both engine and chassis. All Firestone Indy Lights competitors currently run a Dallara chassis and 3.5-liter, normally aspirated V8 engine. 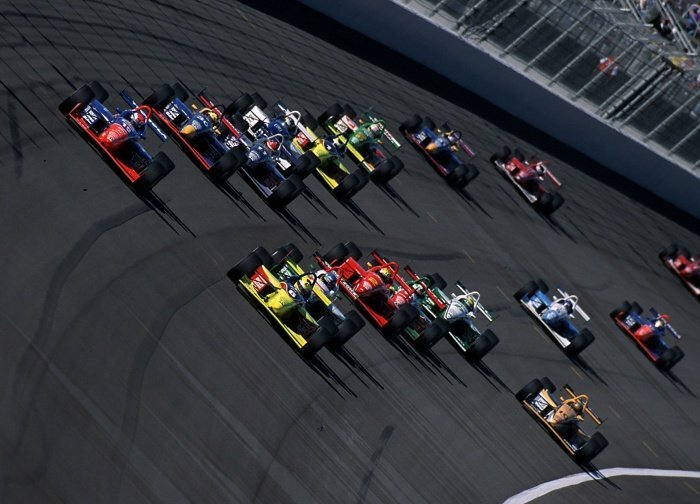 INDYCAR continues to make investments to grow Firestone Indy Lights while providing further value to all participants throughout the Mazda Road to Indy system that also includes the Cooper Tires USF2000 Championship powered by Mazda and the Pro Mazda Championship Presented by Cooper Tires. This season Firestone Indy Lights has an improved TV package, with all races televised on NBC Sports Network. The television schedule features enhanced time windows, serving as lead-in programming to IZOD IndyCar Series broadcasts where the schedules allow, showcasing the series to a larger audience. The Freedom 100 on May 24 at the Indianapolis Motor Speedway will be televised live. Additionally, INDYCAR recently re-launched the Firestone Indy Lights and Mazda Road to Indy website as part of indycar.com, serving as the go-to resource for news and features on the next generation of the sport’s stars. The Firestone Indy Lights champion, claiming a Mazda Road to Indy scholarship to apply to an IZOD IndyCar Series program, has graduated to the premier series three of the past four years. Tristan Vautier will drive for Schmidt Peterson Motorsports in the 2013 season. Scholarships also were awarded to 2012 Pro Mazda champion Jack Hawksworth and USF2000 champion Matthew Brabham, both of whom will graduate to the next step on the ladder this season.